Amazon Pay has generously waived credit card and transaction fees for all Worldreader donations. That means 100% of your gift goes directly to Worldreader. 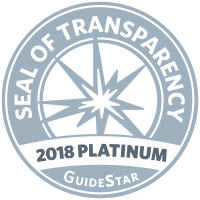 We are a Platinum-level GuideStar Exchange participant, demonstrating our commitment to transparency and efficiency. Our tax ID is 27-2092468. To make your gift in the form of a stock transfer, please contact Lesley Kalso or +1 (206) 329-5546 x242. Wire transfers work well, though your bank may charge you a fee. Wire instructions vary depending on the currency being transferred. Please contact Heidi Williams for instructions. Tax deductibility: Worldreader is a U.S. 501(c)(3) non-profit organization, EIN 27-2092468. To claim a donation as a deduction on your U.S. taxes, please keep your email donation receipt as your official record.